Computer technology has advanced from mainframes to desktops, then laptops and palmtops and is now moving onto, and into, the human body by way of wearable computers. This type of gadget provides the ultimate in-network access, which is hands-free, heads-up operation with complete mobility. With voice activation and head-mounted or touchscreen display options, users anywhere can communicate with computers through the internet. Wearable computers bring forth a whole new concept in mobile computing, computer portability and computer miniaturization. There are a host of technologies involved with Wearable Tech, including augmented reality in smart cameras, smart glasses and games; voice and face recognition in smart glasses; nanotechnology in smart clothing; Bluetooth in connectivity between smartphones and various types of devices; and Personal Area Network (PAN) and Body Area Network (BAN) in healthcare. Despite the euphoria of this emerging trend, not all industry verticals are free of constraints on development. Cost and battery power are common concerns for practically all products. Privacy is particularly a concern for smart cameras, smart glasses and health implants. Bandwidth adequacy is a concern for healthcare use. Size, Weight, and Power (SWaP) are issue for military use. Small Form Factor (SFF) requirements are important for both military and industrial uses. Invasiveness: It is important for devices not to weigh down the wearer. This is particularly relevant where many items are to be worn and carried around, for example, by the military. Weight: Wearable computers can be quite heavy because many components have to be attached to the body. A wearable computer, like any other computer, requires a Central Processing Unit (CPU) as well as a monitor and peripheral devices. The computer can also be quite heavy if all these components are built into the wearable computer. Weight is of particular concern for military gadgets. Discomfort: During hot weather or high energy activities, wearable computers tend to irritate the user. This is because the computer itself emits heat despite its built-in cooling system, and the user himself gives out heat due to the daily activities he is engaged in. Like regular computers, wearable computers can give the user a slight headache as a result of prolonged use. Other issues: A major challenge for suppliers is to establish and expand the number of compelling use-cases for wearable devices. Key success factors include device size, non-invasiveness, capability to measure multiple parameters, ability to provide automated feedback that improves user behavior, and ability to improve efficiency or provide entertainment to the user. Multiple Tasks: Increasingly, wearable devices must accomplish multiple tasks in order to be significantly useful. This means, integration of multiple sensors and transducers, support for different connectivity profiles and reduced power consumption. Cost:. Sophisticated technology in wearable devices makes the price of end products high. In the case of a construction company, wearable computers have the potential to increase efficiency but are undermined by the high costs of setting up local area networks needed for the synchronization of data. Cost is a common concern of practically all wearables. Security: Wearable computers, whether personally or commercially used, could be hacked if and when exposed to unauthorized people. Such computers connected to a company's server could, if left unattended or unsecured, provide opportunities for potential hackers to retrieve confidential information about individuals or the company. 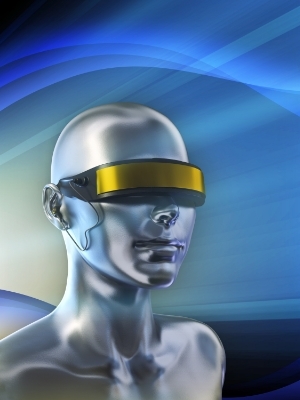 For more information about industry-specific market factors, see the Mind Commerce report Wearable Technology in Industry Verticals 2014 - 2019. The report evaluates the wearable technology marketplace with emphasis on drivers and adoption within various industry verticals, including consumer electronics, gaming and entertainment, clothing, sports and fitness, healthcare, industrial and enterprise, and the military.The report evaluates market players, market potential and presents forecasts through 2019 for wearable technology adoption and revenue.